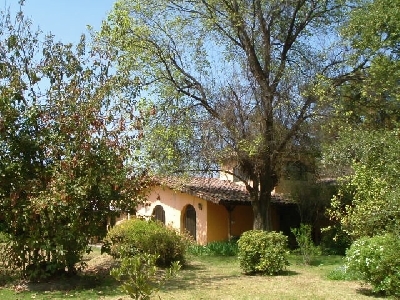 Charming colonial villa situated in the Maipo Valley wine region, 5 minutes from the stunning Concha y Toro vineyard and 35 minutes from the capital, Santiago. Perfect for nature lovers, this villa is surrounded by a 5692 m2 park-like property that features walnut, almond, cherry, magnolia, apple, pear, plum, poplar, maple, jacaranda, avocado and other trees. Extensive flat lawn, rose garden and built-in pool. Beautiful colonial architecture recently renovated with all modern amenities including central heating, but retaining old world charm.Thick walls, archways, vaulted ceilings exposed original beams, ceramic tiled floors and extensive brick terrace.Gated entrance gives way to elegant circular drive. Ample centre hall, spiral staircase to sunny studio or bedroom, den with hand-made built-in bookcase and entertainment unit. 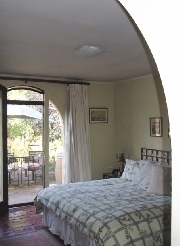 French arched iron doors lead on to terrace from den, guest and master suite. 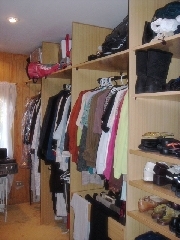 Cozy wood burning stove in master bedroom as well as custom made, spacious wood walk-in closet, master bath with jacuzzi. Large living room and dining rooms with original barn wood rustic doorway. 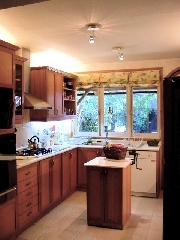 Modern eat-in kitchen with laundry area, bar, latest appliances. Service quarters/guest suite. Old fashioned working well, additional out door laundry and utility area, wrap-around covered colonial style corridor and Spanish tiled roof. A great second home, retirement home or for ex-pat working in the city. Good schools, rural setting, country golf club, ecological preserve, hiking, horseback riding, natural springs, quaint village easy access to skiing and to transportation. Back to nature meets modern conveniences.